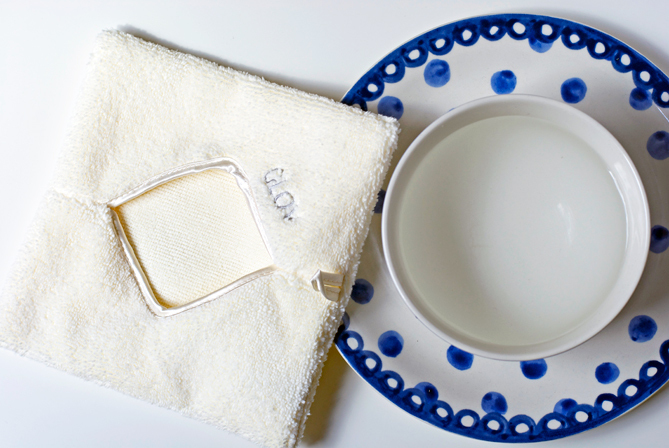 In fact Glov is a makeup removing washcloth which will remove all of your makeup just with the help of water. Now I hear you asking: "Even mascara?!" Yup girls, even mascara! How is it possible? The Glov is made of micro fibers that are 30 times thinner than those of a cotton pad. Therefor their electrostatic abilities absorb makeup like a magnet. This process feels really weird at first use, almost as if the cloth were sticky or so. I was sceptical when using it on my eyes but the mascara came off after a certain while and the cloth left my lashes all clean. Same goes for my skin (I used a cotton pad with my acid exfoliant afterwards and the cotton pad stayed all clean!) Also my skin looked all shiny (like your nose looked after you mum washed your face with a washcloth when you were young). After using the Glov I washed it with some soap as indicated on the packaging, which was really easy and no trace of mascara stayed on the cloth. It's reusable for 3 months, which I will of course keep you updated on. Apparently it can also be used to remove face masks which I will try as soon as possible. And now the big question: Are there any downsides? Well even though removing mascara isn't harder than with a regular makeup remover, one should pay attention not to rub too firmly as the skin around the eyes is really sensitive and may get a little irritated. Apart from that the price of 14,90€ may scare you away but consider that you will save 3 months worth of makeup removers, micellar waters and cleansers! 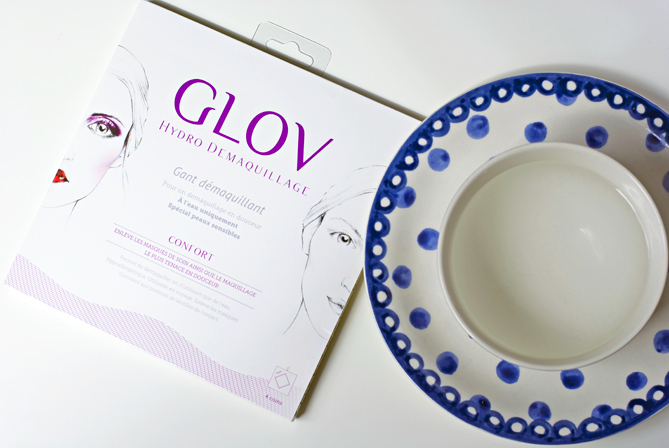 Have you already discovered the Glov Hydro Demaquillage or will you give it a try now? What are your current makeup removing tools?